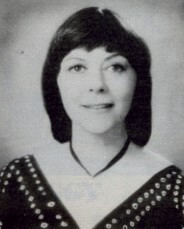 Patricia Colleen Nelligan (born March 16, 1950), known professionally as Kate Nelligan, is a Canadian stage, film and television actress. She was nominated for the Academy Award for Best Supporting Actress for the 1991 film The Prince of Tides, and the same year won the BAFTA Award for Best Actress in a Supporting Role for Frankie and Johnny. 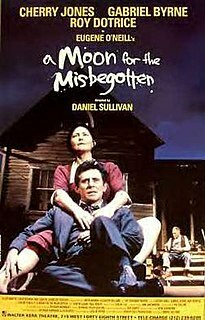 She is also a four-time Tony Award nominee for her work on Broadway, receiving nominations for Plenty (1983), A Moon for the Misbegotten (1984), Serious Money (1988) and Spoils of War (1989). In 1991 she won a BAFTA for "Best Actress in a Supporting Role" for her performance in Frankie and Johnny. For her performance in the 1991 film The Prince of Tides she was nominated for the Academy Award for Best Supporting Actress. 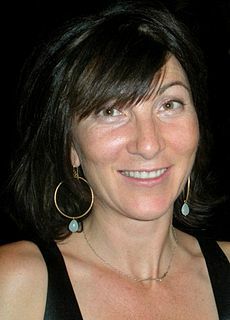 Between 1987 and 2004 she was nominated for five Gemini Awards for her performances in Canadian television mini-series and films and won twice, both in 1993. In 1996 she played the wife of James Mink in the CBS television film Captive Heart: The James Mink Story. 1971 Great Performances Laura "The Arcata Promise"
1973 The Edwardians Alice Keppel "Daisy"
1973 Country Matters Christie Davenport "The Four Beauties"
1974 ITV Sunday Night Drama Laura "The Arcata Promise"
1976 The Lady of the Camellias Marguerite Gautier "1.1", "1.2"
1977 The Sunday Drama Ann "Treats"
1977 Play for Today Hilary "Do as I Say"
1978 Play for Today Anna Seaton "Licking Hitler"
1980 Play for Today Caroline "Dreams of Leaving"
1991 American Playhouse Barbara Hoyle "Three Hotels"
1991 Performance Kate "Old Times"
1992 Road to Avonlea Sydney Carver "After the Honeymoon"
1992 Heritage Minutes Emily Murphy "Emily Murphy"
2008 Eleventh Hour Gepetto "Resurrection"
2010 Law & Order: Special Victims Unit Judge Sylvia Quinn "Ace", "Gray"
^ Kate Nelligan profile, filmreference.com; accessed February 16, 2015. ^ Bored with being a lady, actress Kate Nelligan gets down to earthy People Weekly, 1992-01-27. ^ "Kate Nelligan Biography - Yahoo! Movies". ^ Barber, John (April 30, 1979). "Attacking the NT with ink-balls". The Times. London. p. 10. ^ "The Nominees and Winners of The Laurence Olivier Awards for 1978". Official London Theatre Guide. Archived from the original on 2008-01-18. Retrieved 2007-12-04. ^ Lawson, Mark (1999-05-03). "Splitting Hares". The Guardian. Retrieved 2008-08-14. ^ "Measure for Measure", Liner notes, The Shakespeare Collection, BBC DVD, originally broadcast February 18, 1979. Dame Celia Elizabeth Johnson, was an English actress, known for her roles in the films In Which We Serve (1942), This Happy Breed (1944), Brief Encounter (1945) and The Captain's Paradise (1953). 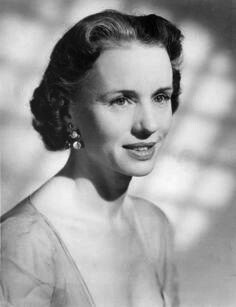 For Brief Encounter, she was nominated for the Academy Award for Best Actress. 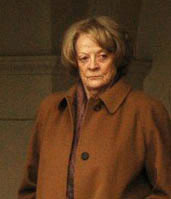 A six-time BAFTA Award nominee, she won the BAFTA Award for Best Actress in a Supporting Role for The Prime of Miss Jean Brodie (1969). 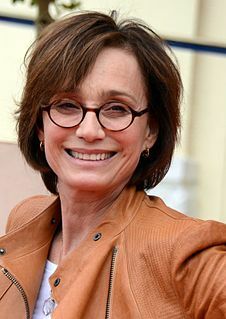 Dame Kristin Ann Scott Thomas is an English actress. Five times a BAFTA Award nominee and five-times Olivier Award nominee, she won the BAFTA Award for Best Actress in a Supporting Role for Four Weddings and a Funeral (1994) and the Olivier Award for Best Actress in 2008 for the Royal Court revival of The Seagull. She was also nominated for the Academy Award for Best Actress for The English Patient (1996). 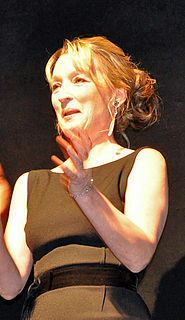 Lesley Ann Manville is an English actress, known for her frequent collaborations with director Mike Leigh, winning the London Film Critics Circle Award for British Actress of the Year for Leigh's All or Nothing (2002) and Another Year (2010), and the National Board of Review Award for Best Actress for the latter film. She was nominated for the Academy Award for Best Supporting Actress for Phantom Thread (2017). Other film roles include Maleficent (2014). Emily "Eve" Best is an English stage and screen actress and director, known for her television roles as Dr. Eleanor O'Hara in the Showtime series Nurse Jackie (2009–13), First Lady Dolley Madison in the American Experience television special (2011), and Monica Chatwin in the BBC miniseries The Honourable Woman (2014). She also played Wallis Simpson in the 2010 film The King's Speech.